Okay, this coming Thursday marks a VERY special day that for many people represents their favorite holiday of the year: Thanksgiving. The Thanksgiving Holiday affords most of us the opportunity to gather with the very special and loved people in our lives. We all tend to celebrate the holiday around a dining room table, and what sits on that table is an array of drinks, foods and desserts. Many of these will not derail your weight control efforts but a number of them will. “Planning” is a vitally important concept when it comes to a successful weight control journey. Without planning, strategizing and focusing, there will be little-no chance of an overweight/obese person losing weight and maintaining that healthier/happier weight. Thanksgiving is no exception: Planning will help ensure that all of the hard work being put into your weight control efforts is not wiped away on Thursday. If you are cooking the meal, ensure there are abundant protein choices, and if visiting others, politely ask what proteins are being served up. Your family, friends and loved ones will be thrilled to help your efforts, so if you find out that Aunt Sue serves lasagna at Thanksgiving and not turkey/ham/roasts, ask Aunt Sue if rather than bringing dessert, you can bring a protein dish. Aside from the traditional sweet potatoes and mashed potatoes, consider dishes like cauliflower “mashed” that mimics mashed potatoes but is less derailing. And no, green beans with heavy mushroom soup and fried onions is NOT a “healthy” vegetable dish! Have sparking water, low calorie juices and other “diet” drinks available as alternatives to the beer/wine and other high-caloric/metabolism reducing drinks. Plan for some “healthy” dessert choices in addition to the traditional pumpkin and apple pies laden with ice cream. A zero calorie brightly colored jello dish with 5 cal per serving whipped cream looks and tastes VERY sugary. 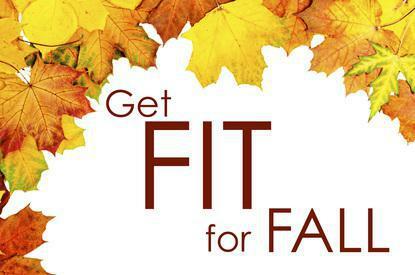 You can enjoy the great Thanksgiving gathering without damaging your efforts to a healthier and happier life. Planning will go a long way in ensuring your successful weight control journey.